Cardamomo > Blog > Flamenco gowns and their origin. 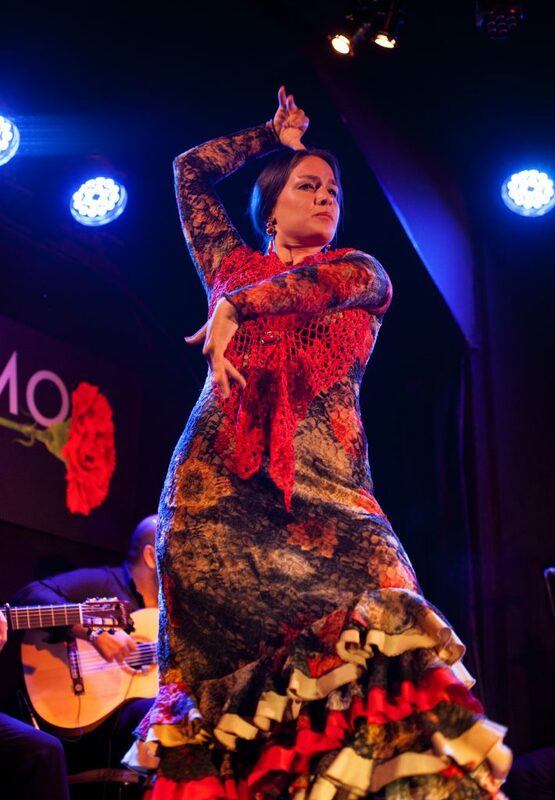 Do you like flamenco dresses? What about Spanish fans, big circular earrings, frills and polka dots? Then we´ll tell you a little more about this attire that people love so much here and all over the world. The typical andalusian dress of nowadays is the same that was used by gypsies back in the olden days. It is known for its joyful colors, frills and polka dots. In the past, men in Seville would go to fairs where they would buy and sell livestock. Women would join them dressed in robes of percale and frills. These clothes were then used to attend the popular April Fair. Even today, ladies of high class use flamenco gowns to visit the fair every year. They also wear high combs, made of tortoiseshell, and beautiful Spanish shawls are placed on the combs called mantillas. Today, these high combs, called peinetas, are made with synthetic materials. The origin of mantillas is found in the headdresses and vails worn by Iberian and Arabic women. Between the 17th and 18th century, it became fashionable to use lace in Spanish towns. In the 19th century, these elements of fashion become distinguished and used by queens as well as the noble class. As time went by, artists and dancers adopted these garments as costumes for the stage, with ornaments, fabric, lace, shawls … It is a fashion that is constantly evolving. There are times in which dresses are shortened and others in which they are extended. Jewels change shape… but the essence stays the same. You will always recognize a flamenco gown when you see one.